Mr. Khanna: Hurray for Hummus! I admit, I'm hooked on hummus. This Levantine dish is such a nutritious, healthful snack and I can literally eat tubs of it. Like most people, I used to buy the ready-made variety until I started reading the labels more closely and noticing all sorts of preservatives, additives and artificial ingredients I didn't recognize. 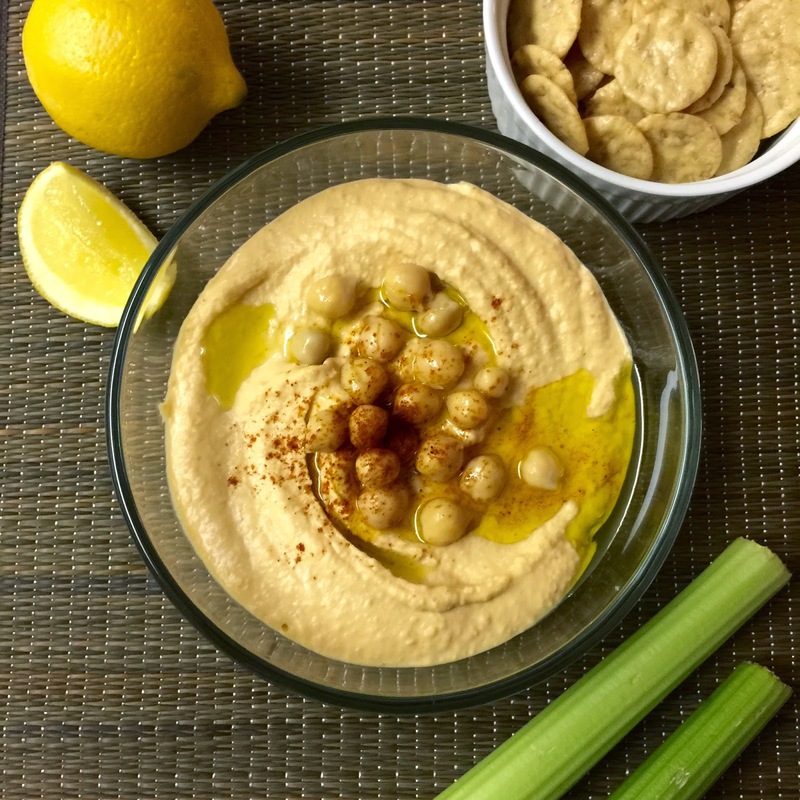 I did some research and found that making ones own hummus is, in fact, ridiculously easy. It tastes so much better and fresher when you can control the quality of the ingredients and it's completely vegan. Best of all, it requires no cooking, proving that some of the nicest things in life are often the simplest! Puree all the ingredients in a blender or food processor with a few splashes of the chick pea liquid. I use the NutriBullet, which is my current favourite new appliance (and what I use to make vegetable blasts). Don't blend it too smoothly — the paste should be a bit coarse. If it's too dry, add more of the chick pea liquid. Garnish with leftover whole beans, drizzle with more olive oil and dust with the paprika or chilli powder. I like eating mine with rice crackers, vegetable sticks and the theme from Lawrence of Arabia playing in the background. Well this was good--- a recipe from you was not what one expects usually. It came as a present surprise. The outcome of the meal not known, your write up is sure crisp. Methinks Lawrence of Arabia has some positive impact on the taste of the food. Enjoyed your writing. Thank you. I absolutely love roasted red pepper hummus. First - it was your blog, i was already excited to read the second thung, Hummus, do I even need any more motivation to read and eventually roasted red pepper, this was an amazing read! Hail Hummus and Nutri Bullet! Nutri comes in handy in making so many smoothies!! Try Avocado its good for skin and health! I have tried Morrocan red chilli hummus it is so delish! Had fun reading! keep writing. Delicious.And thanks for the post.What other hobbies do you have? Love Hummus too. Made the recipe you posted and it came out quite well, if I may say so. Thanks so much, Dear Rahul.